Within the rather crowded field of reissue labels, some are truly dedicated to producing well-curated, expertly remastered, authoritatively annotated and handsomely packaged sets that bring to light long out-of-print recordings. One of these labels is Omnivore Recordings, a relative newcomer whose projects been featured on our pages before. Founded in Los Angeles in 2010 by four industry veterans, the group is led by former Rhino executive and producer Cheryl Pawelski, who has a long track record producing and supervising reissues and box sets. True to the company’s name, Omnivore has been avidly releasing projects across multiple music genres. One of their latest acquisitions is the master catalog of Ru-Jac Records. Though soul music fans in the Washington, D.C. corridor are likely familiar with Baltimore’s Ru-Jac label, it is not so well known outside the region. 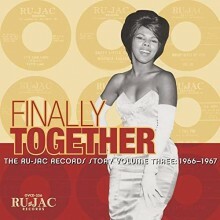 Founded in 1963 by local promoter Rufus Mitchell and investor Jack Bennett, Ru-Jac was a singles-only label, releasing music from regional soul/R&B artists until 1980. Omnivore has already spun off a couple of albums featuring the label’s biggest artists—Winfield Parker (Mr. Clean: Winfield Parker at Ru-Jac) and the duo Gene & Eddie on True Enough (previously reviewed in Black Grooves). 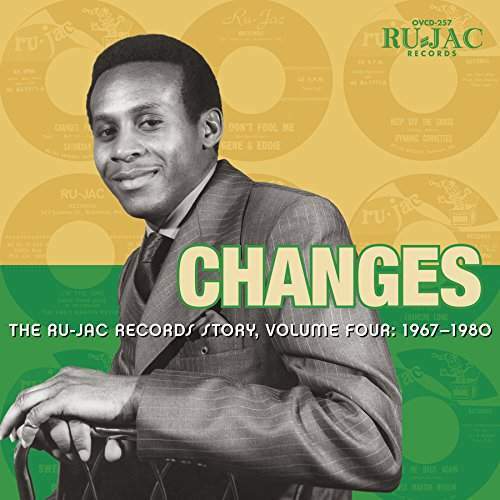 Now Omnivore is offering The Ru-Jac Records Story: a four volume compilation produced by Pawelski and Baltimore soul historian Kevin Coombe, with additional assistance from Ru-Jac’s Winfield Parker. All selections have been meticulously restored by Michael Graves from original master tapes or, where masters were missing, from the cleanest copies of 45s available. Previously unreleased material discovered on session tapes and lacquer discs is also included. Following are brief reviews of each volume produced by this fantastic team. As the story of Ru-Jac Records unfolds, Rufus Mitchell owns a tailoring/dry cleaning establishment, but also enjoys a more entertaining pastime hustling gigs as a concert promoter. Spurred by the success of his younger brother, jazz trumpeter Richard “Blue” Mitchell, Rufus sees opportunity in the growing number of area musicians seeking publishers and record labels. After establishing Ace Booking & Promotions, he starts booking Washington, D.C. area talent, and soon he’s also handling regional distribution and arranging radio airplay for artists signed to the local Start label. Shortly thereafter, Mitchell is motivated to build his own record label, and starts churning out the singles. Volume 2 of the Ru-Jac Records story opens with four more tracks from Brenda Jones, including the single “It Must Be Love” as well as the unissued backing track for that song. Winfield Parker returns with an unissued demo of “I Love You Just the Same,” followed by a more fleshed out, uptempo version of the same accompanied by The Shyndells Band. A side story explored in this volume is Mitchell’s relationship with talent agent Lillian Claiborne, who operated another important regional label, DC Records. Around 1965, Ru-Jac began pressing singles for some of Claiborne’s artists. Singles by two of her groups are included here. The Mask Man & the Cap-Tans “Love Can Do Wonders” calls to mind several of today’s retro soul groups, while “Chicken Wings” is a hard bopping dance number grounded by the Hammond B3. “Come On Over” by the Neltones is a scorching soul ballad, while the flip side “C’est La Vie” is more light hearted with tight vocal harmonies by the back-up singers. Organist “Butch” Randolph, Jr. (who later backed Stanley Turrentine) can be heard in Butch Cornell’s Trio. These jazzier sides feature Cornell on the Hammond B3 in “Goose Pimples,” which gained popularity on local radio station WWIN. Two versions are included here, and it’s the unissued alternate take that captures attention with its complex textures and prominent organ. 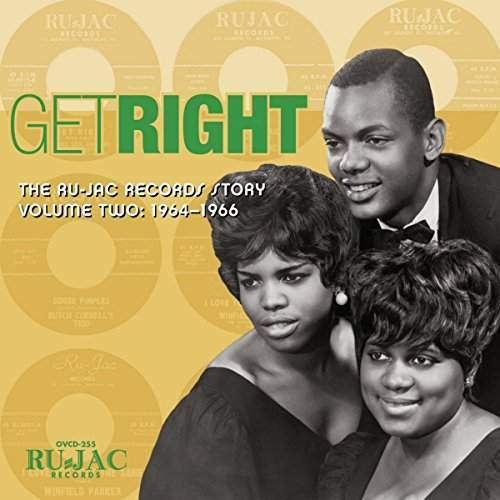 Shirley Grant of The Soul Sisters & Brother (guitarist Clarence Grant) released just one single for Ru-Jac of gospel-inflected soul: “What More? (Can Anyone Wait)” and “You Don’t Really Care.” The latter showcases Clarence’s guitar perhaps a bit too much, as it sometimes distracts from the vocals. Arthur Lee Conley, who migrated to Baltimore from rural Georgia as a teenager, was one of the most successful singer-songwriters on the Ru-Jac roster due to his relationship with Otis Redding, who mentored the young singer. 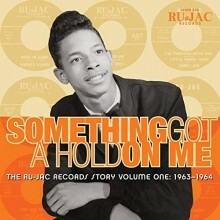 To make a long story short, after Redding tried to sign Conley to his own label, there was a falling out with Ru-Jac. Now, decades later, two of Conley’s unissued demos have been unearthed. “Whole Lotta Woman” (not the 1958 rockabilly version) and “Hiding Out in the Blue Shadows” are interesting selections (especially the former) that add to Conley’s story. As Volume 3 opens, Rufus Mitchell’s other commitments begin to interfere with the label, slowing the stream of releases to a trickle. These 1966 sides include the more sophisticated vocal stylings of Baltimore’s Rita Doryse, including an unissued version of “Born To Be Loved” that harkens back to an earlier ‘60s R&B sound, plus the jazzy, uptempo “Goodie Goodie.” As business picks up again in 1967, a promising single is released by Kitty Lane, who started her career as the Ace/Ru-Jac office manager and later sang back-up for Otis Redding. Lane’s “It’s Love I Need” has a delightful finger-snapping hard-grooving intro, while “Sweetheart” showcases her soulful side. She switches styles again on “The Feeling Is Gone,” a bluesy unissued take with a standout guitarist—this track should have seen the light of day. Leon Gibson, a soul shouter from Georgia, spent nearly a decade in Charm City exploring different ventures. He cut one single for Ru-Jac with “Do The Roller,” an uptempo dance tune that mimics James Brown’s “The Popcorn” but with a lot more cowbell. The duo Gene & Eddie might not be equivalent to Stax artists Sam & Dave, but their slow ballad, “I Would Cry,” is persuasively sung and complimented by an excellent horn section. Sir Joe, aka songwriter/arranger Joe Quarterman, is featured on “Nobody Beats My Love,” which features terrific trumpet playing throughout (possibly by Joe?). Winfield Parker returns with three previously unreleased tracks, including two fairly rough demos, and the standout single “Sweet Little Girl” backed by The Shyndells Band. We’re given a further glimpse of The Shyndells’ talents on two unissued instrumentals, including the blazing fast dance track “Lightning (Part 1).” Other unissued tracks with unidentified singers are included, the best of which is “Searching”—a rocking, gospel-infused song by a female soul singer that really blows. The disc concludes with the sole single by The Caressors, a vocal harmony group about which little is known, and the unremarkable sides don’t inspire further research. Volume 4 encompasses a decade roiled by social, economic and political change. On the musical side, there is change as well: rhythm and blues gets a whole lot funkier. But this doesn’t happen overnight. As the set opens in the late ‘60s, the Winfield Parker and Gene & Eddie tracks include just a few James Brown-style grunts, while Sir Joe’s “Every Day (I’ll Be Needing You)” features a funkier backing band, and the Fred Martin Revue brings a little more heat and a lot of B3 to “I Know It’s Going To Happen” (1970) and “Contagious.” The latter is an instrumental bearing a Booker T influence with a dash of rock guitar. The rock influences continue on “Changes Part 1” by the band Saturday, which also drips with Southern soul, and on “Sugar” by Fred Martin Jr. which retains an R&B horn section. More changes are brought by the Dynamic Corvettes, who offer a very funky pair of sides. “Keep Off the Grass” has a B3 groove and Curtis Mayfield vibe while “It’s A Trap” has a definite Blacksploitation influence (“no one can escape from the man”). The song “Days May Come, Days May Go” is covered by two artists: a smooth R&B rendition by Francine Long and a funkier instrumental track by Utopian Concept. This volume closes with a pair of singles featuring gritty soul singer Willie Mason with the Fred Martin Revue, and the jazzier vocalist Johnny Dotson. Anyone interested in the regional music scene surrounding Baltimore, Maryland, will enjoy The Ru-Jac Records Story four volume set. At times the music may be a bit raw and under-produced; however, these 45 sides a provide a marvelous overview of unheralded as well as better known artists from the Charm City. Consequently, they should be relished for their local flavor, right alongside those Maryland crab cakes. This entry was posted in Rhythm & Blues, Soul, Funk and tagged Baltimore, Brenda Nelson-Strauss, funk music, music history, Omnivore Recordings, R&B music, record labels, reissue series, Ru-Jac Records, Rufus Mitchell, soul music, Washington D.C. by aaamc. Bookmark the permalink.